In Love Again at My Age? The eaglets, who are now almost the size of their parents, have been identified as 2 females and 1 male. There’s been a whole lot of wing flapping going on, and sometimes they actually flap enough to be lifted an inch or two above their nest. They have also been branching, or going further and further out on the limbs of their roosting tree. 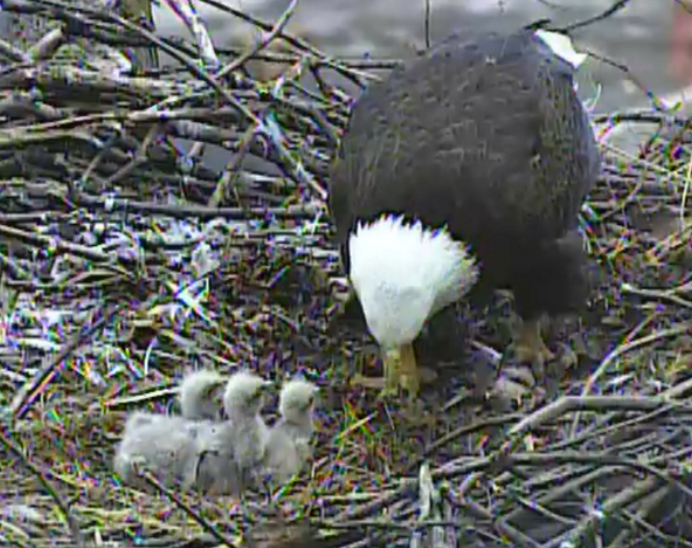 And then, one of the eaglets flew. When I watched the video of its first flight, I just kept shouting, “It flew! It flew!” There was enough joy in my voice to almost match when my son took his first steps without falling. Am I crazy? Maybe. 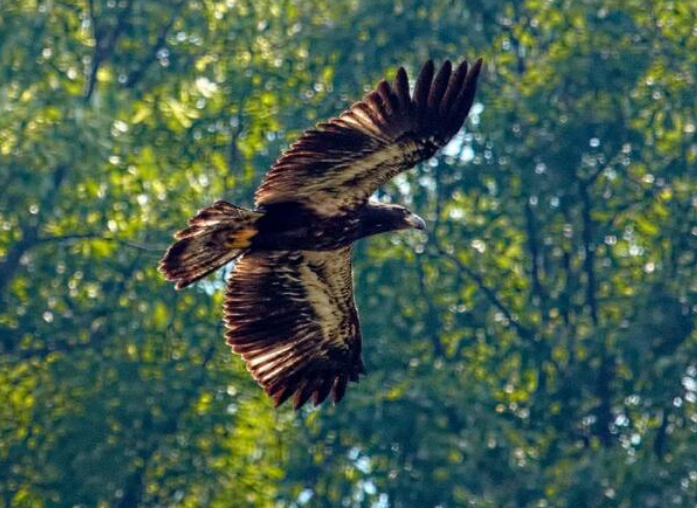 Am I invested in the well-being of these eaglets that I’ve watched through incubation, hatching, feeding, branching and now fledging these past 3-plus months? Absolutely! My maternal instinct is at full throttle, and I’m their cheering section, worried mother, avian advocate and ardent supporter all rolled into one proud middle-aged package. This must be what being a grandparent is like, but without being able to hold the baby in your arms. So instead, I smother them with kisses (read: encouraging shouts) from afar. Soon, the brother and sister will take test their wings and fly for the first time. That will leave an empty nest. And for the second time in my life, I’ll get to experience just what the Empty Nest Syndrome is all about. The first was with my son. Who knew the mother of an only child would experience a second one, this one filled with feathers and dead fish, bird poop and rodent remnants? And you know what? This Empty Nest is just beautiful!